Our awesome Radical Run Rock Climb Slide combines the fun of climbing and sliding into one inflatable! At 30’ long, this impressive slide features rock climbing grips on one side, where kids will climb to the top of the slide. Once participants have conquered the rock wall, they will have a blast sliding on the double-lane slide to the bottom. 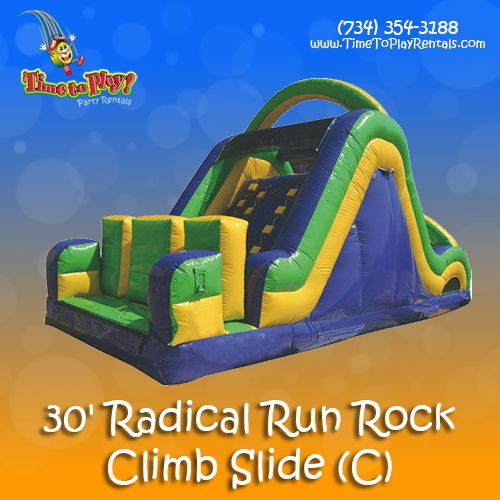 This 30’ Radical Run Rock Climb Slide is part of the Radical Run Obstacle Course, and can be combined with other modules to create a fantastically fun feature at your next event!